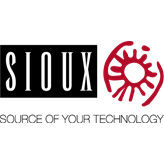 Sioux develops and produces state-of-the-art technology for the top end of the international high-tech community. We raise the bar high and we often achieve the impossible. We do so together, as a team of enthusiastic electronics, software, mechatronics and mathematics specialists. At Sioux, it’s all about laying the entire puzzle. And we can’t do that without you, a driven software designer .NET/Java. You love your job and you have an unmistakable passion for developing software for advanced systems. You also enjoy working in a team and getting the maximum out of it together. Our employees are our strength and together, we want to get the maximum out of it. That starts by offering attractive terms and conditions of employment that are in line with your needs. According to our employees, it’s the personal attention at Sioux that makes the difference. And that’s something we’re proud of. After all, to us, success is more than just a good salary. It's also about being appreciated, about being given responsibility and the ability to develop. That’s why every employee receives a personal development budget of €6,000 for training or the purchase of books. We also offer you a pizza budget, for instance, when you work on innovative study projects in our expertise groups. Obviously, the employees are the best source of information if you want to find out what it's like to work for Sioux. Sioux is an innovative technology partner that supports leading high tech companies in the development and manufacturing of their products. With 600 dedicated engineers we support or act as the Research & Development department of our customers. With our excellent productivity, we help to shorten the development time and to create a sustainable and competitive advantage at a better price/performance ratio. In addition to development work Sioux also delivers complete products. This is achieved at the level of replacement parts and in the assembly of modules, subsystems and finished products. Company days off "26 rising up to 30 days off"
Want to get notified about new jobs at Sioux?